Costa Mesa, CA. Costa Mesa - Segerstrom Center for the Arts - Shen Yun - Cos..
Costa Mesa, CA. 350 E 17th St Ste 2 - (17 St & Raymond Ave) - Costa Mesa, CA..
Tuesday Night Dance at Segerstrom Center for the Arts..
in Costa Mesa April 23. Grab your dancing shoes and join us every Tuesday night for a free dance class! Every month, learn a different style of dance, guided by our expert instructors. Calling all QRadar users in the L.A. area! Please join our Apr. 23 user group meeting, where you'll discuss QRadar best practices with your industry peers and hear about our latest product updates. Costa Mesa, CA. Costa Mesa CA. Costa Mesa, CA. PCC,2850 FAIRVIEW RD,COSTA MESA,CA,92626. Sheepdog” comes to South Coast Repertory in Costa Mesa as part of the annual Pacific Playwrights Festival. 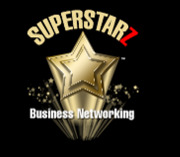 SuperStarz Business Network is what business networking should be;Business Networking for the 21st century, with all the great networking and none of the rules. The last day to book your hotel room is April 15th!! Costa Mesa, CA. OCDE (Board Room) - 200 Kalmus Drive, Costa Mesa 92626. Have wanted to try this place for quite a while. Basically, it's where mansion takes place on weekends but for the weekdays it is a cool hangout place with some video games. Welcome to our monthly Monday meeting! Costa Mesa, CA. The Met 11:00 am 575 Anton Blvd - Costa Mesa - CA 92626 - Ci..
Costa Mesa, CA. Costa Mesa, California. Considered the largest event of its kind in the world, the annual Pet Expo features more than 1,000 animals that provide entertainment while performing various acts. The weekend-long expo in April also offers workshops on animal care, the chance to adopt a pet, competitions and demonstrations by K-9 officers, birds of prey and other animal species. During the last weekend in May, all are invited to attend the annual Fish Fry. Along with fish dinners, the local Lions Club hosts a carnival, drawings and live entertainment. For an evening of musical entertainment, residents venture to Fairview Park on Thursday nights throughout July for the annual Concerts in the Park series. The events also feature children's activities, gourmet food options and a beer and wine garden. From the middle of July through the middle of August, Costa Mesa hosts the annual Orange County Fair. The gala event features a long lineup of live entertainment, sporting events, a 5K run, a carnival, competitions and various exhibits.